No need to spend a single second in the great outdoors! These campout cookies are made in the comfort of your own home! A simple (delicious!) 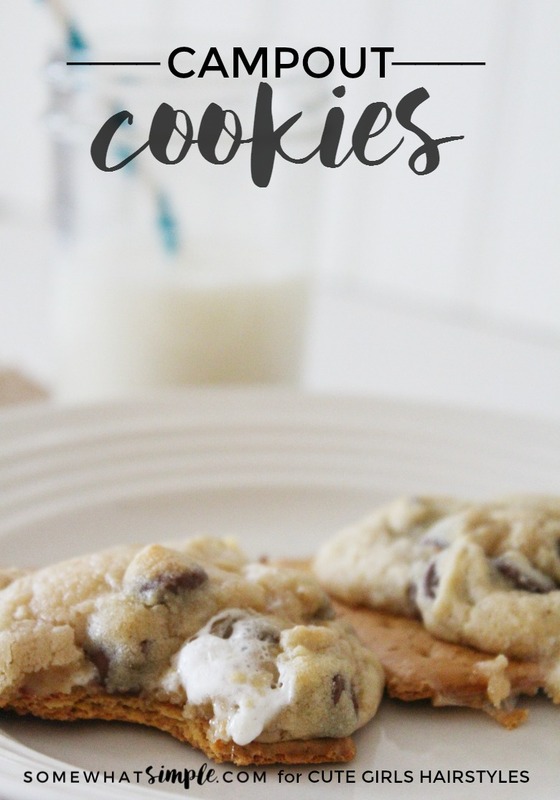 chocolate chip cookie baked directly on top of a graham cracker with added marshmallows gives these cookies the taste of s’mores without the sticky mess!